With the last swing of the hammer, the construction workers begin collecting their tools, loading up the truck, and driving off into the sunset to their next site. Their job is done. You take a step back and imagine a time in the near future when the area will be bustling with your employees, each working hard to grow your business. You become antsy with anticipation and excited to start this new phase. Yet, while looking around you begin to notice a few things. Disregarded nails and screws scattered everywhere, piles of lumber, and trash and cigarette butts each way you look. Taking a step inside you see that the interior isn’t much better. The construction has left dirt, dust, junk, and construction materials on every surface. You begin to panic realizing that you haven’t hired a cleaning service and you have no time or expertise to clean this mess up. Your employees will have to wait. Or will they? At UMG Cleaning, we’ve got you covered. We understand that most construction companies are only focused on getting the build or renovations complete, not focusing on the clean-up once the final nail is hammered. We also get that you have other things on your mind and post-construction cleaning is not in your job title. Our professional post-construction cleaning services want to reduce the time between your new project and the time you f inally get to enjoy your new space. Here are a few benefits you’ll see when you hire the pros. After the construction workers have finished the job, some of the debris and materials left behind can be sharp and pose a serious safety concern for you or your employees if you decide to do it on your own. Our professionals are not only insured for the job but have the knowledge and experience to get it done efficiently and safely. Not only that, but we will also be sure to clean up the site with no damage done to the new workplace. Disposing of waste materials from a construction site isn’t as easy you may think. One is not able to just toss the junk into any given trash can. There are rules and regulations in place to prevent this and without the proper knowledge of local regulations, you’re likely to get in trouble with the law and receive a hefty fine for dumping. Instead of pulling a mission in the dead of night, throwing junk away in separate garbage bins around the city, just let the professionals handle it. We know where the proper areas for disposal are and are happy to do it! Instead of spending the time looking for the right cleaning products and materials, finding employees to do the job, and not being guaranteed that the clean-up will be done efficiently and effectively, spend that time continuing to do your actual job. UMG Cleaning promises a detailed and complete cleaning done in a timely manner to let you continue on with your work. While you might think that doing the job yourself will save you and your company money, the opposite is actually the case. When taking into account the money you will spend on cleaning supplies, insuring your workers AND providing them with extra money to do something outside of their job description, and the time spent cleaning instead of making money for the company, you’ll come out of the project with less money and more of a headache than you would had you just hired our professionals in the first place. Maybe the most beneficial part of hiring our professional cleaners is the quality of work we offer. We know what we’re doing, we know where to clean, and we are willing to get down on our hands and knees to guarantee that your new building or renovation is sparkling clean and ready for business. 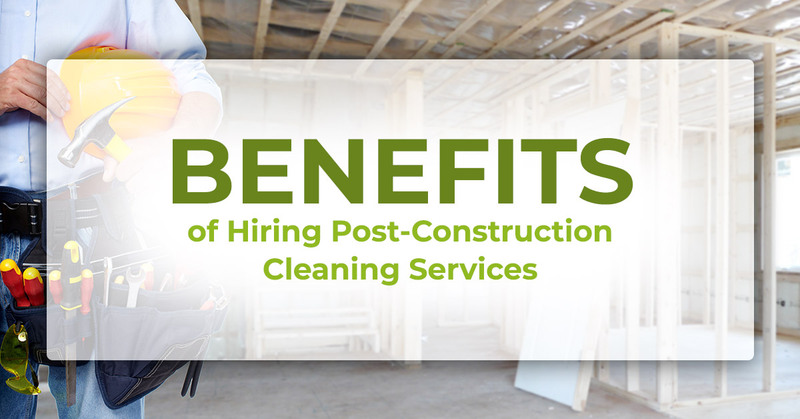 Hiring us for your post-construction cleaning not only saves you time and money, but will also relieve you from the stress of the job. Let the professionals get it done while you focus on your work. If you’re interested in our cleaning services, whether it be in post-construction, residential, commercial, or more, be sure to contact us today to hire the best cleaning services in Manhattan and surrounding areas.